So as promised – I’m talking about some of my clients for a change and completely abusing my position to make them give me things for you introducing you to some of their products that you may not have seen/tried. 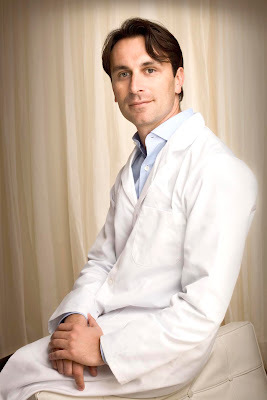 First up is Zelens – created by Dr Marko Lens – who is literally the most knowledgeable person I have ever met when it comes to the skin and all things skin-related. He is a consultant plastic and reconstructive surgeon but his specialty is skin cancer and skin ageing. He is a Fellow of the Royal College of Surgeons and holds a Master of Science from Harvard and a Phd from Oxford in the field of skin cancer. He once greeted me by poking me in the eye and saying ‘That mole has altered, lie down, we must remove it’ and proceeded to remove a mole that I had on my eyelid since birth in less time than it takes for me to cleanse before we proceeded with our meeting. As you do…. What set Zelens apart for me and made them an enticing prospect to work with is the amount of research and clinical trials that go into every product. The proof is literally in the pudding – as they say. Zelens’ Triple Action Eye Cream is probably the best known product in the range and has been a bestseller since launch. My personal favourite is the Z Matrix pictured above. It’s the go-to for when my skin is tired, dehydrated and just lost its ‘oomph’. The entire line is paraben and mineral oil free and suitable for all skin types. So I asked the Doc if I could have some to give to the lovely readers of this blog and completely stole them off the shelf he offered up 5. To win one of the lovely Z Matrix’s on offer simply follow Zelens on Facebook and leave a comment below telling me you have done so including either your twitter name or contact details. That’s it. Just to be completely clear: Dr Lens is my client, but I won’t be picking the winners – that’ll be up to his office and PR. Zelens are my client but I am not being paid anything to hold this giveaway, wasn’t asked to hold the giveaway and there are no affiliate links.